Spray-dried lactose is a matrix of amorphous lactose in which lactose monohydrate crystals are embedded. Humidity has no influence on the crystal but amorphous lactose is very hygroscopic: in the presence of humidity, it will transform into the crystalline form. This has consequences on the tableting properties of the substance. Storage in a humid atmosphere leads to caking! How to be sure that the delivered lactose has the correct properties prior to processing? For that, you only need a measurement with a thermogravimetric balance. This instrument records the mass changes of a sample during heating. An example of the measurement carried out on spray-dried α-lactose monohydrate is given in figure 1. The spray dried Lactose was stored 2 weeks in a humid atmosphere. The same measurement was then carried out on this sample. The TGA curve is displayed in figure 2 (blue curve). It is immediately clear that the amount of surface water increased during storage in a humid atmosphere (0.5 to 4.5%). An increase in water amount can lead to caking, and thus to problems during processing. Storage in a humid atmosphere influences the tableting properties! Storage in a humid atmosphere also increased the amount of crystal water. For the monohydrate form of lactose, a molecule of lactose is associated with one molecule of water. 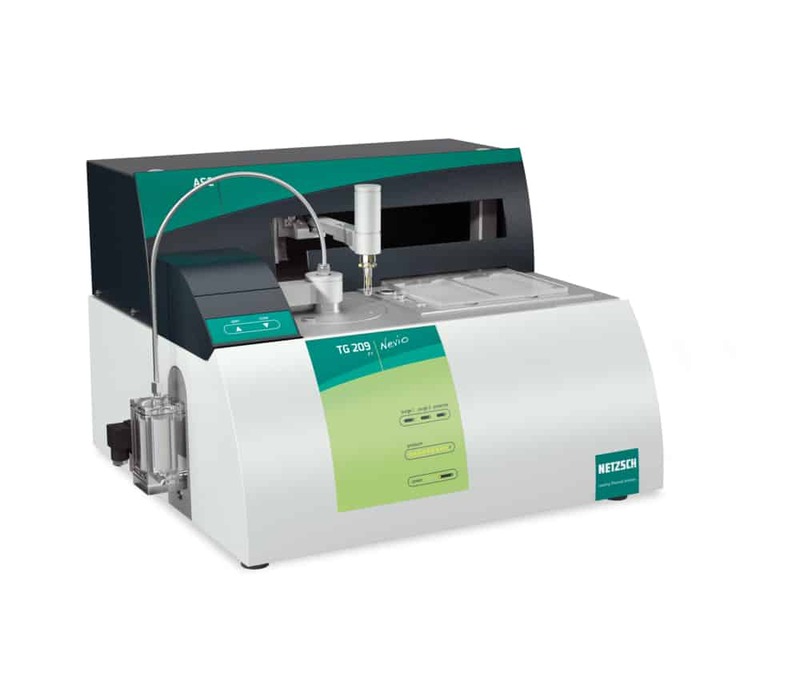 This means that it is possible to calculate the amount of α-lactose monohydrate in the sample by using the amount of crystal water! Pure α-lactose monohydrate contains 5% crystal water. Let us calculate the amount of crystal water without taking surface water in consideration: It amounts to 4.54% for the sample as received and 4.95% for the sample after storage in a humid atmosphere. The storage led to an increase of α-lactose monohydrate in the sample! Water acts as a plasticizer and leads to the molecular mobility of the amorphous domains of lactose. As a consequence, the amorphous phase can crystallize as a monohydrate. However, it is precisely the amorphous phase of spray-dried lactose that yields good compression properties of the product. That´s why this crystallization of the amorphous phase should be avoided. Measurement by means of a thermobalance ensures good quality of the substance for easy processing and good tableting properties.